The vast majority of smallholder farmers in Malawi are food insecure and dependent on rain-fed agriculture. To respond to this challenge, IFAD in partnership with the World Bank is supporting the government of Malawi to rehabilitate and construct irrigation schemes to address the challenges of low productivity and increase profitability of Malawi’s agriculture sector. Malawi’s agriculture sector relies primarily on maize and relies on mono-cropping practices resulting in underemployment during the dry season. Low production and productivity and lack of diversification in farming systems has led to persistent food insecurity, poor dietary intake, poverty and undernutrition. IFAD funded irrigation systems in Malawi have helped farmers to adopt improved technologies such as irrigation farming, crop diversification and use of improved seeds and fertilizers. This has led to an increase in household income and improved access to different food varieties leading to a diversified diet. An independent impact assessment survey assessed that the IFAD-funded Rural Livelihoods and Agricultural Development Project (IRLADP) had positive impact on the lives of beneficiaries and reduced the proportion of poor households by 21%, increased agricultural productivity by 68% and improved household incomes by 50%. The survey observed that 37% of the income was spent on food thus contributing to the wellbeing of previously food insecure and poor households. 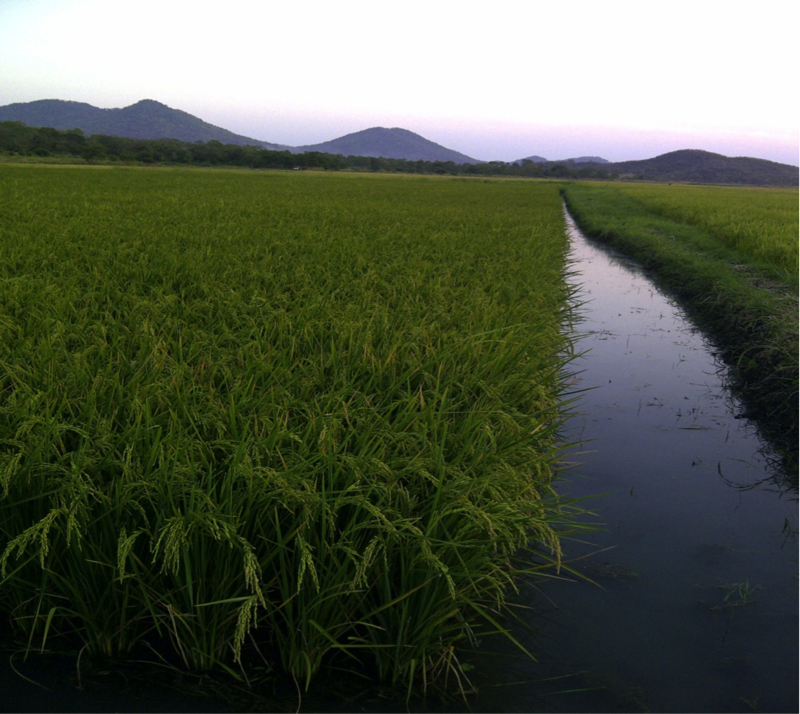 The Systems of Rice Intensification (SRI) is an innovative agricultural practice to improve food sufficiency at household level and respond to the growing demand for food and the ever increasing scarcity of natural resources such as land and water. In Malawi, SRI is being championed by the IFAD-funded Irrigation Rural Livelihoods and Agricultural Development (IRLAD) Project. 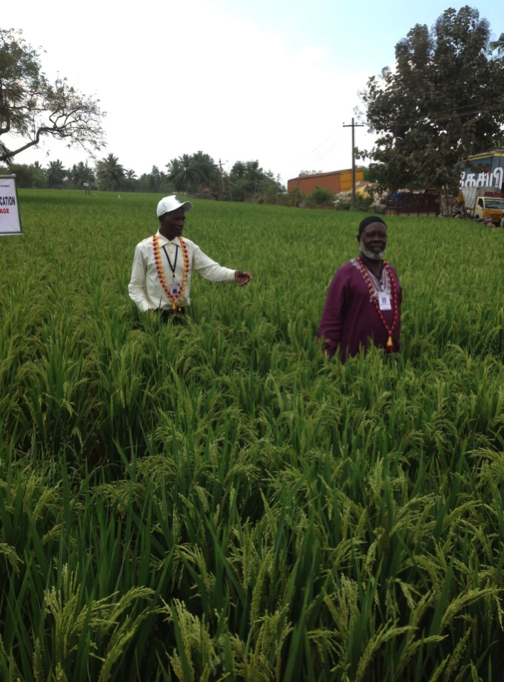 The IRLAD project trained over 5,000 farmers in irrigation schemes to adopt SRI technology as a way of ensuring optimum utilization of the irrigation schemes and improve yield using less farm inputs. 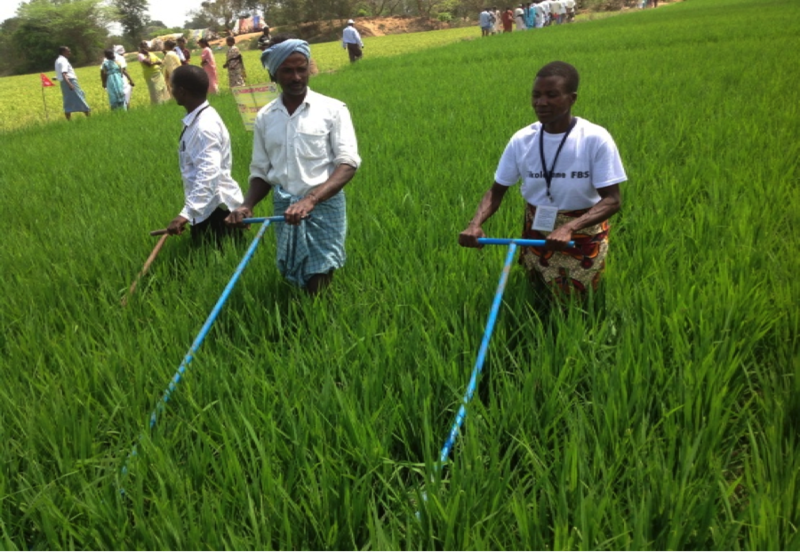 use of conno-weeder – an instrument used for weeding. Conno weeder promotes aeration in the soil as it cuts rice roots which in turn induces the development of new tillers around a particular hill. Farmers who used conoweeders during 2013/2014 rainy season counted 45 to 60 tillers from one seedling instead of 4 to 7 tillers. “We did not believe that one seedling could produce over 45 to 60 seedlings from a single seedling planted, our friends thought we were going back at night to the fields and planting some seedlings”, explained Mr G.Njala of Likangala Complex irrigation scheme in Zomba and Mr Alhaji Chale of Lifuwu irrigation scheme. “My friends thought I was crazy when I planted one seedling per hill” says Mrs Chisi, “but when they saw an impressive crop a few days later, they insisted to know the secret behind all this” she explained with pride. “This season, because of using SRI practices, I expect to harvest nine bags of 50 kg each on a 0.1 ha plot (4,500 kgs /ha) where previously I used to harvest four bags of 50 kgs each ( 2,500 kgs /ha)”, she said. She further said that with the proceedings from rice sales, she hopes to buy a bicycle so that she can move around more easily and save some money to build a house next year after harvesting and selling her produce. Considering that increase in income and access to food do not guarantee good nutrition, IRLADP’s successes will be replicated in the IFAD-funded Programme for Rural Irrigation Development (PRIDE). The main thrust of PRIDE is to upgrade irrigation schemes to enable smallholder farmers move from low value to high value crops. The implementation of PRIDE aims to improve the livelihood of beneficiaries, get them out of poverty and provide them good nutritional status. collaborating with other development partners for maximizing impact and generating synergies in agriculture for nutrition programs. As a nutrition expert, I am confident that a nutrition-sensitive PRIDE will show how sound investment in agriculture and crop diversification leads to good nutrition. Me any a passer-by. ALRIGHT, Get away from any something in your blog for your give back pay a visit to.